The Irish Rat Pack Wedding Band are now the Most Famous Wedding Band in Ireland. The Irish Rat Pack were formed by Jason O’Callaghan in 2002 to raise funds for cancer research. The show moved from charity events into a stage show, selling out Vicar Street 7 times and The Olympia Theatre 8 times. In 2005 due to demand Jason created a wedding performance version of the show covering all styles of music to suit the variety of guests at each wedding. Since 2005 the band, still fronted by Jason and with the same musicians perform at over 100 weddings per year and never send stand in singers or musicians and always fill dancefloors. The Irish Rat Pack Wedding Band are now the Most Famous Wedding Bands in Ireland. The Irish Rat Pack Wedding Band have established themselves as one of the Irelands most exciting bands. Covering all styles of music from Swing to the King. Their show features classic swing numbers followed by modern rock and pop songs re-arranged in a unique swing style, Songs by artists such as the Ed Sheeran, Kings of Leon, Black Eyed Peas and many more as you’ve never heard them before! 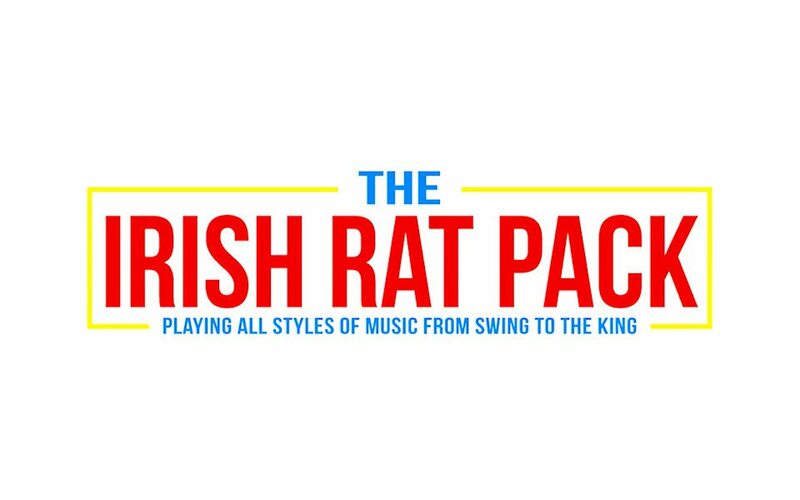 The Irish Rat Pack Band perform a wide selection of music from the 1920’s right up to modern day pop but in a unique swing style. They have performed at over 1,000 events and appeared on a variety of TV show, magazines, radio production and even HELLO magazine. Most of our wedding band bookings are in Dublin, but we offer a nationwide service and offer band sizes from a two piece (singer and piano) right up to a 4 or 6 piece wedding band and even a 20 piece big band. We also can provide church music, drinks reception music and DJ after the band. Why not make your wedding night reception unique by additionally booking our wedding comedy hypnosis show, this is extremely popular and bookings for 2016 and 2017 are limited so make sure that you pre book early.